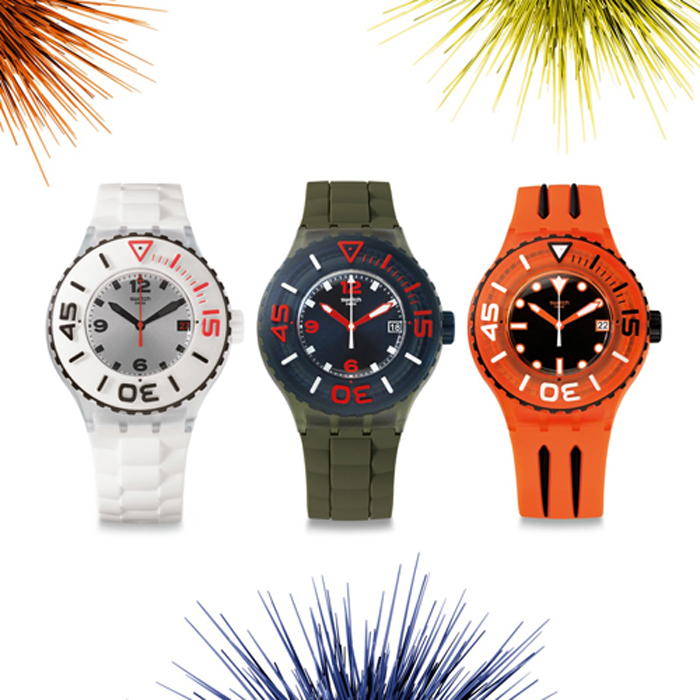 Here it is, the new Swatch collection! 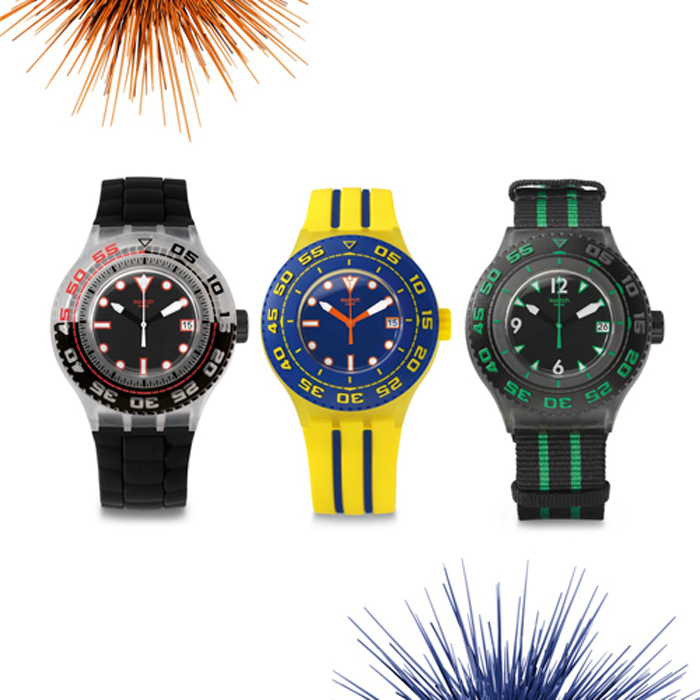 These new watches are ideal to go on vacation. They're water resistant and you can dive up to 200m with them. If i go on vacation I just have to go scuba diving. I really like seeing the under water life! All the colours, the fish,.. it gives me peace. What is your favourite holiday activity? Echt wel leuke collectie en cool event! Amai! Zot event! Scuba divers!! Love the white watch with the green details!! Ik vind scuba diving ook echt super tof! (ale snorkelen zullen we het maar noemen :p in mijn geval). Is dat in de Nemo? Ik ga daar af en toe eten is echt heerlijk!